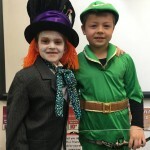 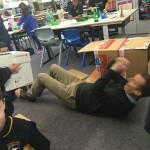 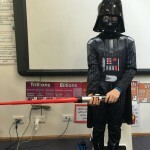 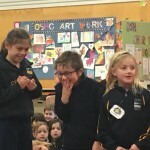 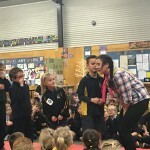 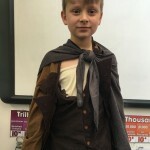 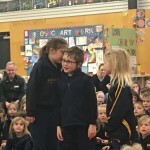 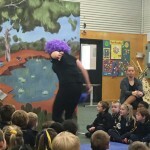 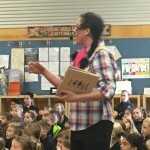 This week was Bookweek. 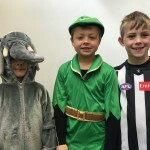 This is a special week in schools as we read all of the books that have been shortlisted for the 2016 Bookweek celebrations and do lots of classroom activities that relate to these books. 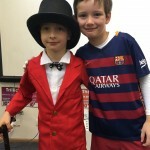 Today, we had a special assembly to see which books were the winners for Bookweek 2016 and to see that different costumes from every class in our school. 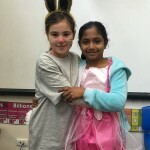 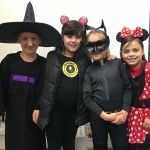 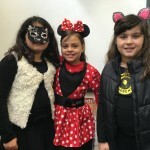 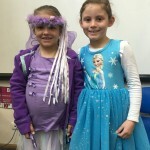 Here are all of the people from our class who dressed up in different costumes – we had a very wide variety of costumes! 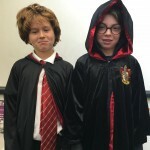 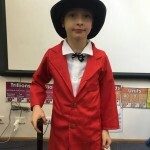 Some of the costumes were: Harry Potter, Darth Vader, Matilda, Peter Pan, Elsa from Frozen, Horton, Mr Wonka, Catwoman, The Mad Hatter….the list goes on. 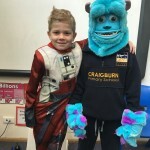 We’d like to say a huge thank-you to our families for helping with our costumes – we love your support! 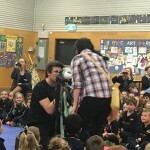 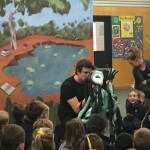 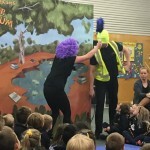 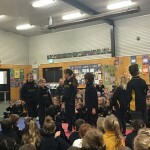 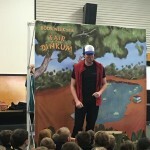 Today all of the Craigburn students attended the Bookweek performance called Fair Dinkum! 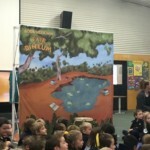 It was a fun Aussie story that included lots of the Bookweek books that we’ve read. 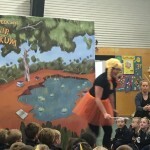 What was your favourite part of the Fair Dinkum performance? 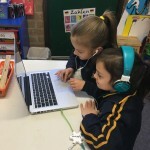 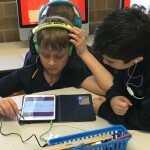 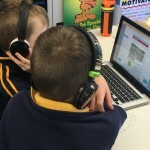 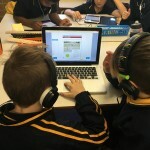 Every Tuesday we use our laptops, desktop computers and iPads to listen to different books online. 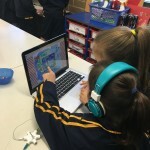 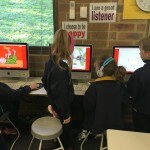 Our school has subscribed to Sunshine online and Ziptales and we LOVE them! 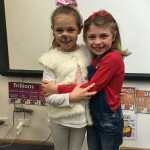 There are lots of different books to choose from and there’s lots of different levels that suit everyone’s different reading levels and interests. 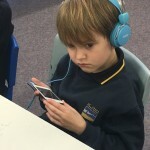 We also do listen to reading on other days – depending on how many devices we can use. 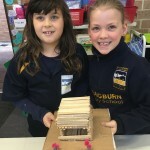 Tell us about some of your favourite stories. 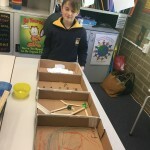 Every Friday our class has a Genius Hour session. 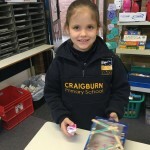 It one of our favourite learning times of the week because we can explore our own passions. 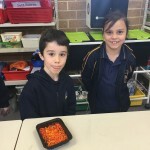 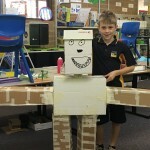 During Genius Hour we focus on making a creation of some kind…..we let our imaginations run free! 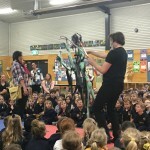 painting…..and so so so many more. 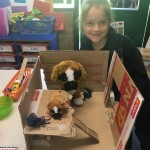 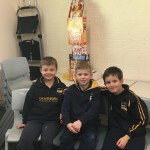 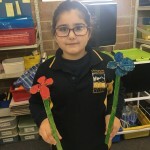 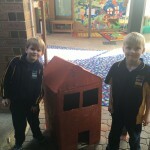 During this term we have had a cardboard challenge – items had to be based on using cardboard and 2 of our own choices. 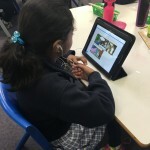 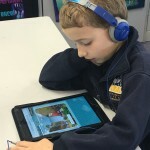 This week (week 4) we are doing an iMovie challenge – this is something completely new and we’re looking forward to telling a story using this app on our iPads. 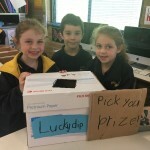 Stay tuned for our final results. 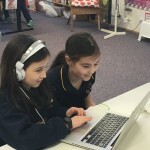 What do you love about Genius Hour? 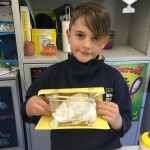 What would you like to create in the future? 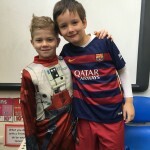 For more Genius Hour ideas from around the world use the #geniushour on Twitter. 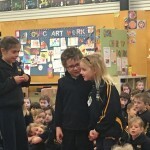 We’d like to congratulate the following people on being elected as our new SRC Reps for the next 2 terms.